What is the problem, and how can you save your poor plant? Well, although this plant had suffered from over-fertilization early in the grow, we advised the home farmer to stick to a plain water diet. This helped, but after flowering was well underway, the current “rolled-up leaves” problem started. The cause is overheating. The plant was placed too close to the grow lamp, and the intense heat was literally broiling the tips of the leaves. The plant’s reaction is to “roll up” the leaves in an attempt to conserve moisture and avoid the direct heat radiation from the lamp. The cure is simple – back off the lamp by 8 inches or more, and allow the plant time to recover. Use your hand to gauge the heat. Can you hold your hand 4 inches from the lamp? If it feels hot to your hand, it will burn the leaves! After the plant has time to recover, you can bring the lamp in a couple more inches for more effective light use, but be sure to check back often and see how the plant reacts. Additionally, be sure that you have proper ventilation for your grow room – even if you back off the light source, heat can build up quickly if you do not have adequate ventilation. This also changes with ambient temperatures – if the weather brings a spike in air temperature, be sure to monitor your grow room temperatures. You don’t need complicated gear with thermometers and alarms – just reach in and feel what’s up. Marijuana does not require tropical temperatures! 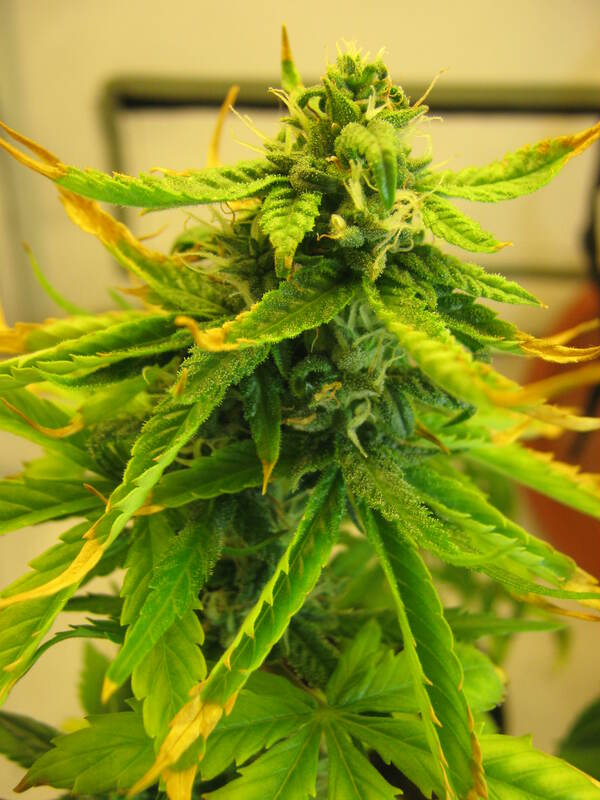 Although there are varieties that do well in the tropics, Indica and Ruderalis varieties (and therefore many autoflowering varieties with their traits) prefer things on the cool side. Simply adding a small fan to aid air circulation in your grow room is often enough. The Pineapple Express plant will survive, but will not be a particularly abundant producer. I am a first time grower and I’m not sure what I’m doing.y plant is about 5 foot tall but no buds yet. Wish I could send a pic to show you what I have . I’m curious about the stage I’m in.